EIZO Nanao Corporation, a leading global manufacturer of high-end visual displays, will be showing its state-of-the-art medical monitor solutions at the 98th Scientific Assembly and Annual Meeting of the Radiological Society of North America in Chicago. 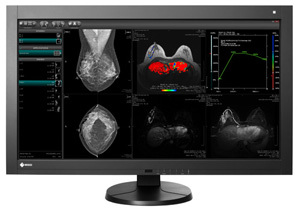 EIZO will launch their latest innovation in display technology with the RadiForce RX840-MG, an industry first multi-modality color widescreen monitor at RSNA. This is a truely unique upgrade to their line because it presents EIZO's first color monitor FDA cleared for not just radiology applications, but also mammography as well. EIZO's PACS Medical Team Lead, Brian Cote, was excited to say, "With the development of the RX840-MG, there is no longer a need for separate workstations or monitors for viewing mammography images. Mammography, cardiology and radiology images can be displayed on the same monitor without separate color displays for CAD, ultrasound or other color modalities." 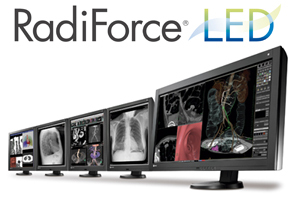 Reserve your free demo online now to see this game-changing display at RSNA 2012. Check out our LED webpage to learn about the major benefits of switching from traditional CCFL backlights to new LED backlights. Swing by the EIZO booth at RSNA to get your very own demonstration using energy meters to prove the significant cost savings. Learn even more by reading our white paper on this new technology. 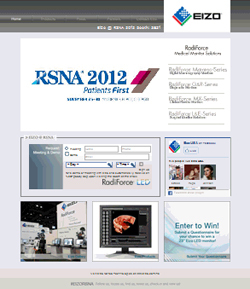 our RSNA Monitor Giveaway Sweepstakes. One entry per day of the show will be chosen to win a 23-inch EIZO LED monitor! Scan our QR code for easy access to our microsite, representative contact details and show special promotions. Every attendee who swings by the EIZO booth and scans their badge will immediately receive an LED giveaway and will be entered into the drawing to win their own EIZO LED monitor! We hope to see you at RSNA!